Husband and wife team Chelsea and James Minola met while they were students at Rhode Island School of Design. 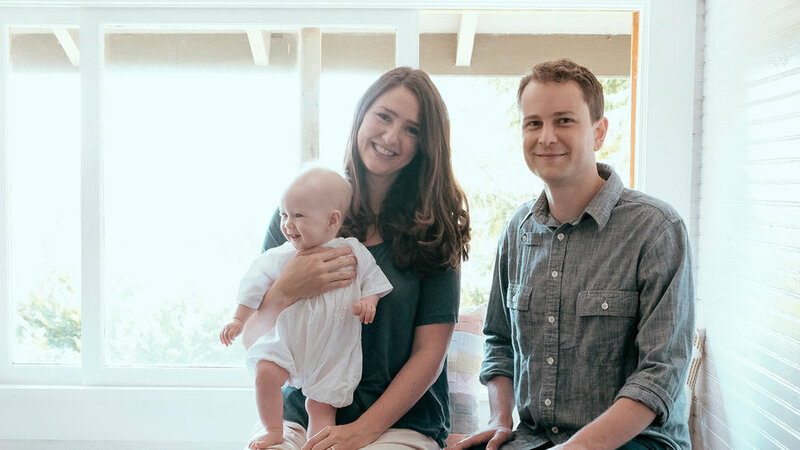 They launched their environmentally conscious design company in 2007 from their craftsman-style farmhouse home that’s listed on the Bainbridge Island Historical Register. The couple outfitted the home with a mix of family heirlooms, vintage furniture, and Grain prototypes, naturally. Some pieces, such as this primitive folding wood table, were handed down from the previous homeowners. Expansive windows make the space appear larger, simultaneously framing the lush landscape beyond and in some cases negating the need for art. 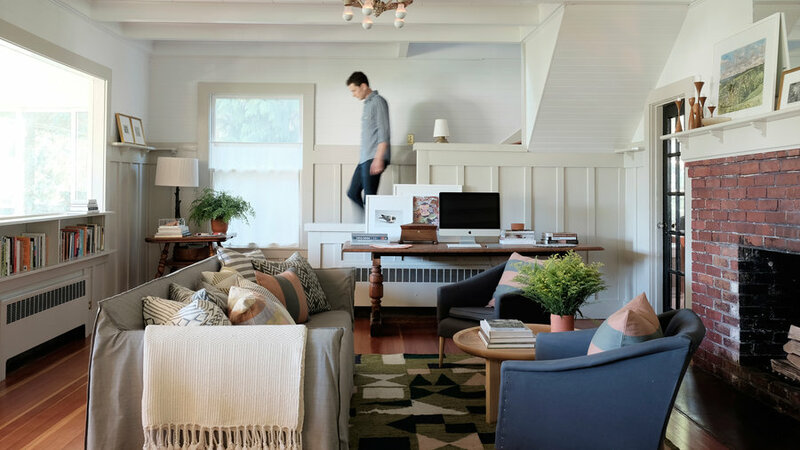 Those expansive windows let in ample natural light, but Chelsea and James went a step further, complementing the sunshiney glow with bright, neutral painted walls in Benjamin Moore’s Decorator’s White and Ace Paint’s Khaki Shorts. A patterned rug and layer of mismatched in a cohesive, neutral palette lend the room harmony. The room is capable of some much-needed double duty, too. An antique table works as a supplemental work space for employees during the day, but at night the couple switches on the computer monitor to stream movies. The dining room table does more than anchor family meals; it functions as a communal destination for workday lunches and business meetings. Those meals often include produce from the couple's garden, eggs from backyard chickens, and, occasionally, James’ garage-brewed beer. 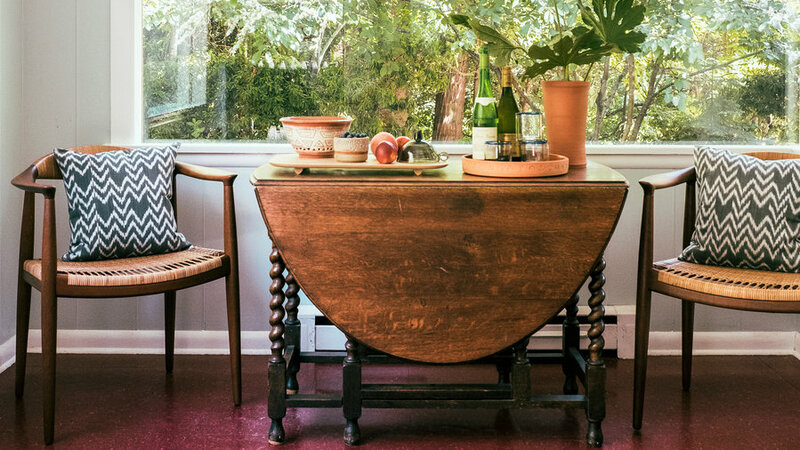 The table, which was also gifted to the couple by the previous owner, works as a surface to prepare products for shipping. 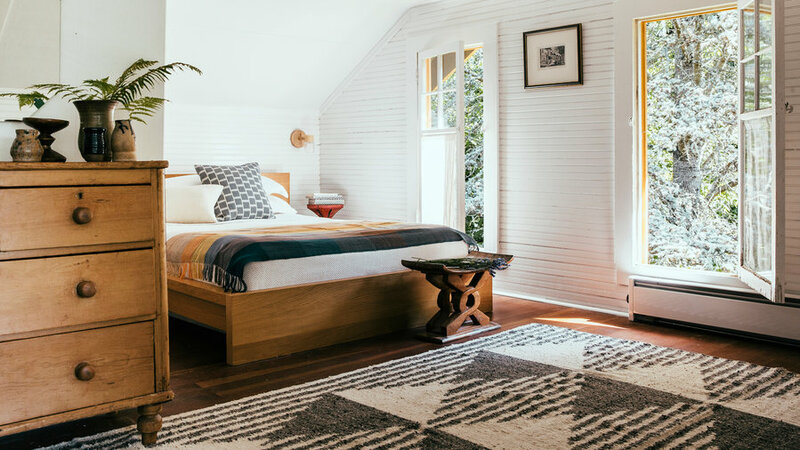 The original white shiplap walls and vintage furnishing provide a quiet palette for bold moments like this striking area rug. Chelsea and James work with artisans in Guatemala to produce made from locally sourced virgin wool. Each product in the is prompted by some element of the couple’s lives. The rope-affixed , for example, is a nod to James' former life as a boat builder in Maine. "We love living with our products as much as possible,” he says. “Often time the things in our home are original prototypes or seconds. Living with the work is a great way to learn and get inspiration for future ideas." 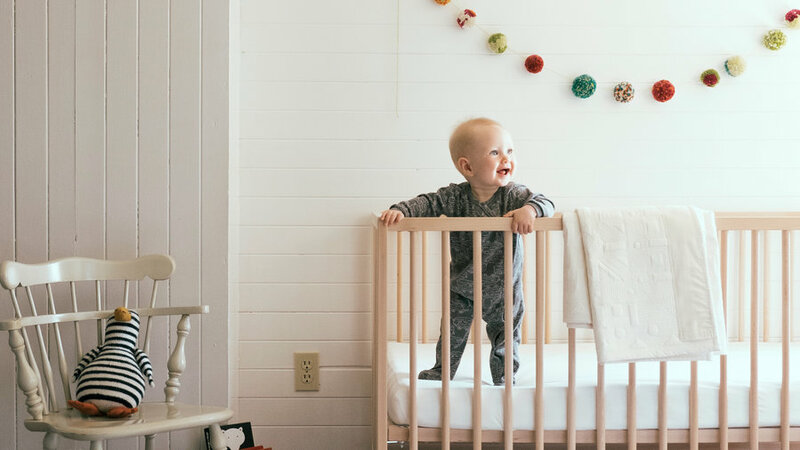 A small room adjacent to the master bedroom was utilized as the couple’s closet until it came time to carve out space for their daughter, Ada Craft. The original shiplap walls and ceiling, repainted in a glossy white, lent the room a subtle character worth highlighting. 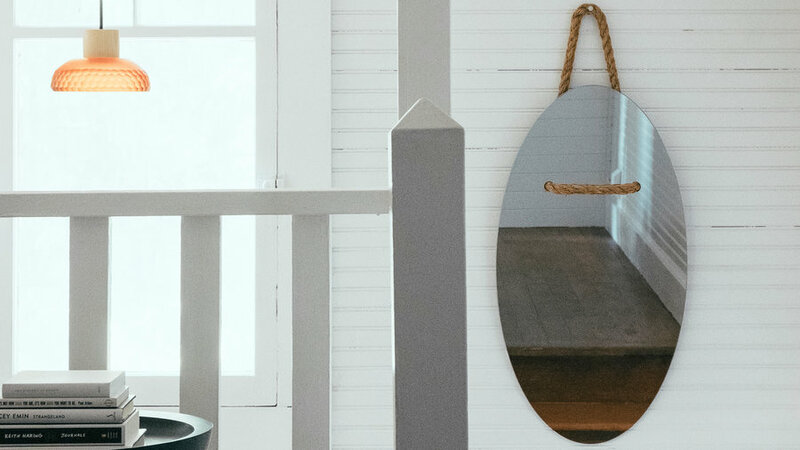 So they layered on minimal accessories, such as a found spool chair that they repainted, along with a handmade mobile and, for a touch of texture, a string of bright yarn pom-poms. Just off the living space, this room on the main floor fills in as Grain’s ground zero. From the materials they use to the artisans they employ, Grain is routed in environmental and social responsibility. 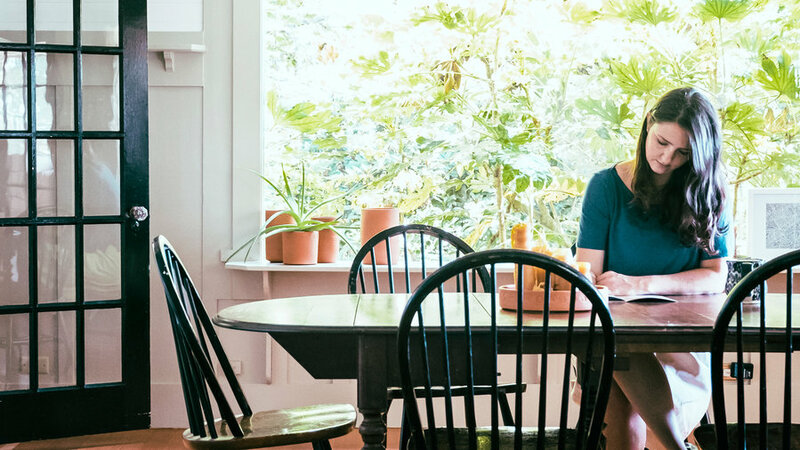 Within that ethos, working from home eliminates a commute as well as the footprint of having a separate work space. The light-filled sunroom functions as both a studio and storage space. Employees prep products for shipping here, but the surrounding views of gardens, beach trails, and the Puget Sound prove it's no ordinary packing plant. Want more? 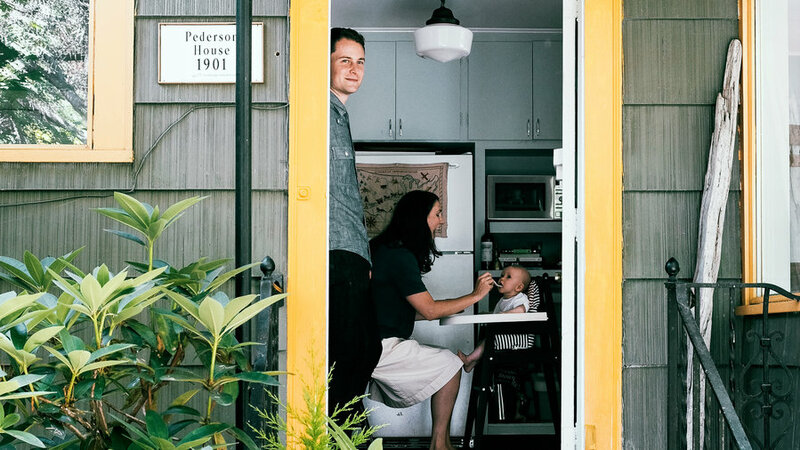 Follow Chelsea and James' design and Pacific Northwest adventures via . "We know this it isn't for all couples, but getting to spend so much time with the person I love the most makes me feel so lucky,” says Chelsea. “In this kind of work there are so many challenges and problem solving; it's so great to be learning from each other and growing as creatives through our collaboration."